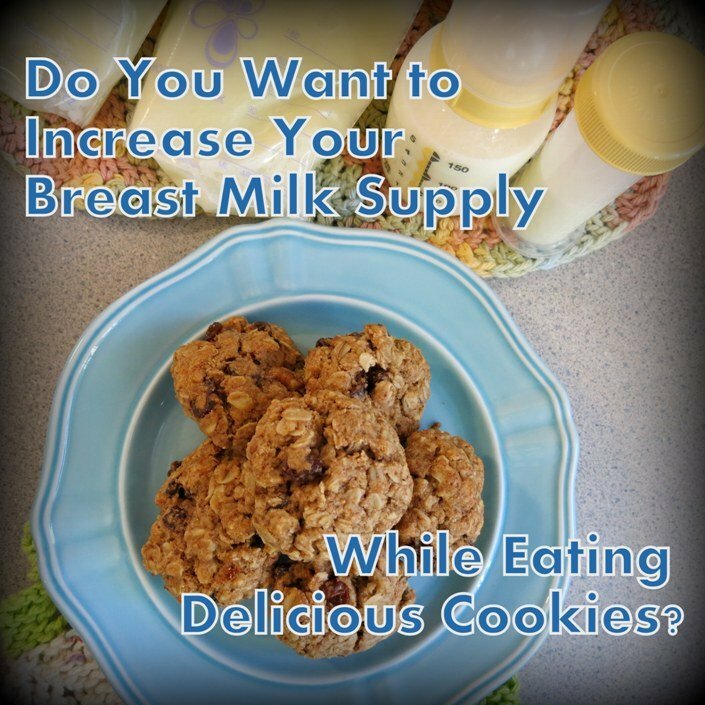 Do You Want to Increase Your Breast Milk Supply While Eating Delicious Cookies? – Recipes for Lactation! Hi everyone! I am honored to have with us today Eryn Lynum from From Famine to Foodie. Eryn is doing a 4 post series this week on breastfeeding. As many of you already know, breast milk is best for a newborn. But sometimes it can be really challenging to breast feed. Eryn is here to share her breastfeeding story with us and to give us helpful guidance through this journey. I will let Eryn take it from here! This is part 4 of a 4-part series on breastfeeding. Ideally and traditionally, a mother would prepare her body even before conception to grow and feed her baby. This is not the case with today’s modern diet. An average American diet, composed mostly of processed foods and toxic fats, does not promote breastfeeding. In fact, it hinders our efforts in breastfeeding. Mamas—we have to go against the norm here. We need to make an intentional shift in how we view food. We need to begin seeing our diet as the primary tool at our disposal to equip us to better feed our babes. Whether your baby is in utero or in your arms, there are changes that you can make right now, employing the food you eat to join forces with you in nurturing your precious one. But First–Does Breast Milk Vary In Quality? Although breast milk is the perfect food for babies, it can vary in its quality, mostly depending on what mama is eating. I saw this first-hand when I compared the milk I produced for my first son to the milk I produced for my second son. When I had my first son, we were still eating the average American diet. Although I was eating fats, they were not good fats. They were the processed, hydrogenated, toxic fats that are so prevalent in today’s modern foods. I was giving little thought to what I ate, and this was reflected in my milk. It was thin and blue, indicating a low fat content. I also was not producing enough (as I detailed in my full story here). 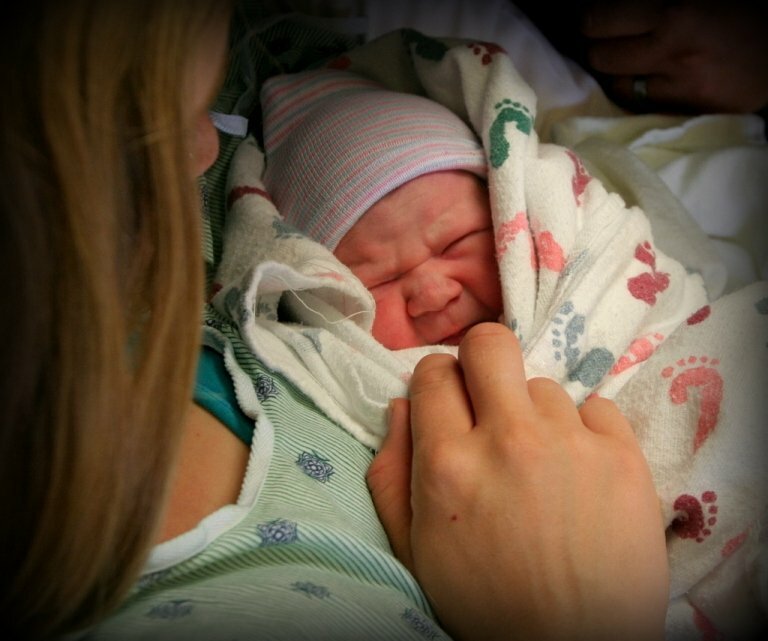 Between the birth of my two boys, our family began eating a whole food diet. I can see direct evidence of the advantages of our whole food diet in my breast milk. Now that I am eating a diet low in processed foods and high in whole, nutritious foods, my milk is always thick, creamy, and white. When it sits in the fridge, it develops a “cream-top”, sometimes half an inch thick! Breast milk can vary in fat content from about 2% to 9%. Not only does a higher fat content in milk pack a higher concentration of nutrients per ounce for baby, but fattier milk also helps fill baby’s belly, which helps your little one take better naps and sleep through the night. What mama doesn’t want that?! 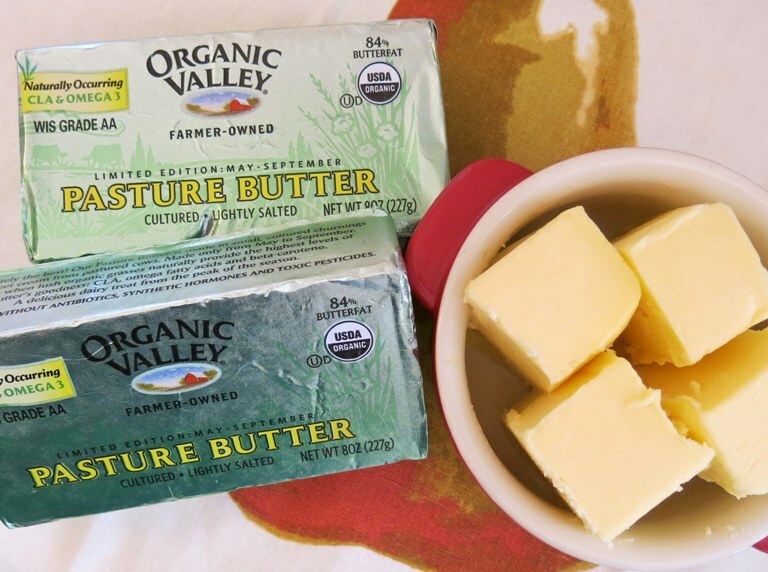 Why Eating Fatty Foods May Help Boost Your Supply as well as Lose the Baby Weight! The number one foods I recommend for increasing the amount and quality of your breast milk are traditional, natural fats. It may seem counter intuitive, to eat fat while you are trying to lose the “baby-weight”, but when we put some thought into the fats we are eating, it can make a huge difference in our milk supply! Not only that, but eating traditional, healthful fats can actually help you lose weight! Click here to learn more! These foods may cost a little bit more, but consider the savings in money and health you will create by ensuring that you have enough breast milk to feed your baby, and don’t have to invest in expensive formula! In addition to wholesome, natural fats, some women (including myself) also experience an increase in their breast milk quality and supply while eating oats and ground flax seeds. 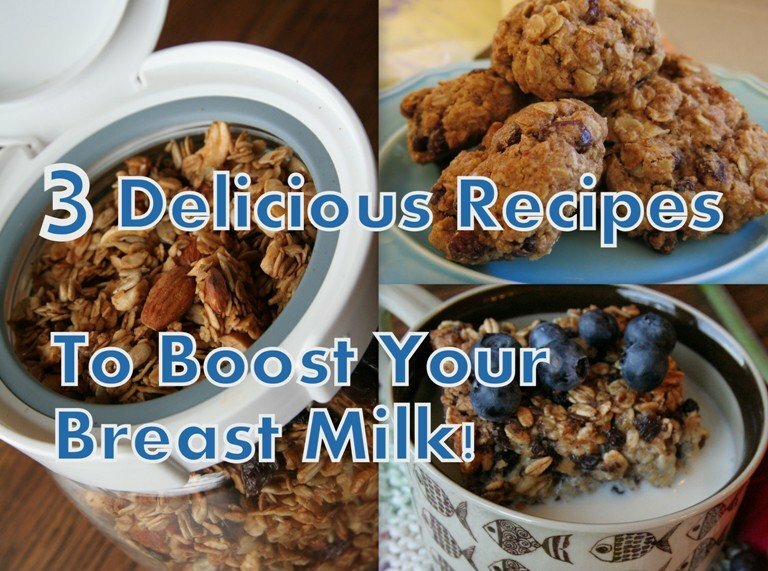 3 Delicious Recipes For Increasing and Maintaining Your Breast Milk Supply! 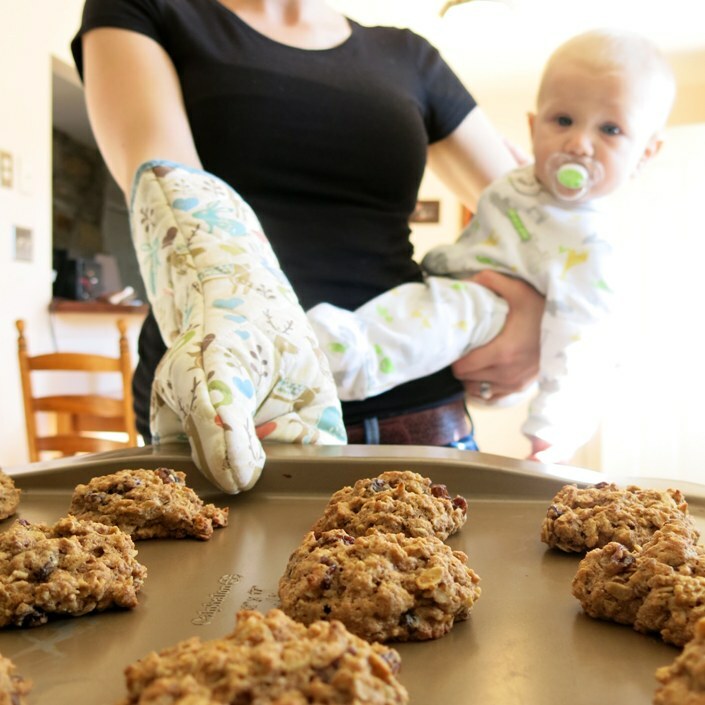 And here are is my favorite thing to snack on when I want to up my milk supply: Cinnamon Apple and Pecan Lactation Cookies! When I snack on a couple (or more…) of these cookies each morning with my coffee, I pump an average of 2-4 more times breast milk each day. 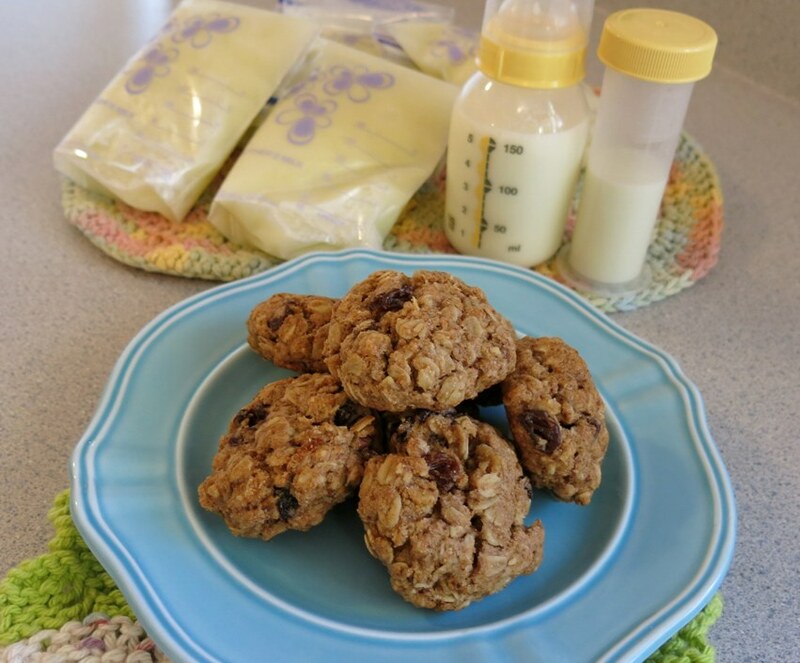 These lactation cookies are not just for the nursing mama of the house! Both my husband and my two-year old are big fans. Just be sure these cookies don’t make it into the hands or mouths of baby if he or she is under 1 year old, as they are made with honey. So there you have it—over the past four posts I have shared with you my own breastfeeding journey, along some indispensable lessons I have learned along the way. Remember, each mama is different. Each experience is unique. Each baby’s needs are particular to him or her. What works for one mama will look differently from what works for another. Your job as mama is simply to gain knowledge, put it into practice, give breastfeeding your best shot, and in the end—whatever the result—love that precious little bundle with all the love you can muster up, and enjoy the journey. That love will be the measure of success in your own journey. Roll dough into balls and place onto non-stick baking sheet, flatten balls slightly with hand. Bake for 12-14 minutes at 350 degrees until they just begin to brown. Store in the fridge (ground flax spoils quickly at room temperature), or enjoy them from the freezer for a few weeks! « How To Boost Your Breast Milk By Slaying Stress! Great one. Let me share my experience of stimulating my low breast milk production. I went through many remedies to exclusively breastfeed my baby who wasn’t getting enough milk from me. After taking a healthy nursing tea, my milk started increasing and baby was satisfying for the first time through my breast milk supply.